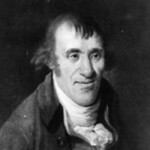 Ethan Allen was born in Litchfield, Connecticut, USA. He was an American farmer, businessman, philosopher, writer, politician, and Revolutionary War patriot. He is best known as one of the founders of the U.S. state of Vermont, and for the capture of Fort Ticonderoga early in the American Revolutionary War along with Benedict Arnold. He wrote several books include: Narrative of Colonel Ethan Allen's Captivity, Reason: the Only Oracle of Man, Washington Or The Revolution, and Ethan Allen at Ticonderoga During the American War of Independence.